See, I wanted to interview the audiobook narrator for A JANE AUSTEN DAYDREAM, but a old print interview felt so… normal. Nah, this a professional narrator, she is the voice of Jane Austen in the book! Let’s do this with the magic of audio! Louisa Gummer, our fearless narrator, happily agreed and after sending her 11 questions I received the following files which you can stream below. If you visit England, it is a difficult task to avoid the voice of Louisa Gummer. 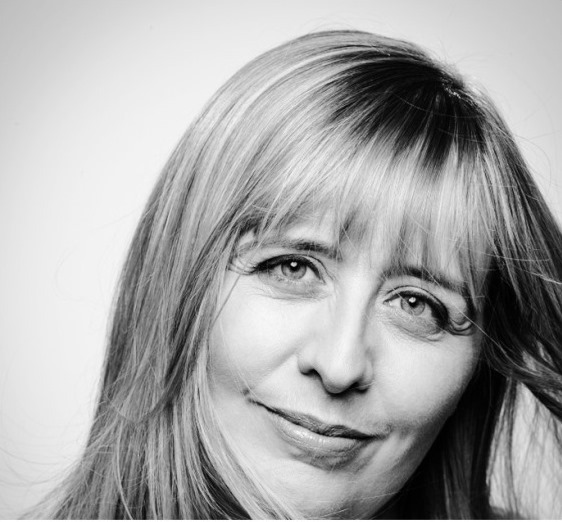 She does voiceover work for commercials to the BBC. She is everywhere! 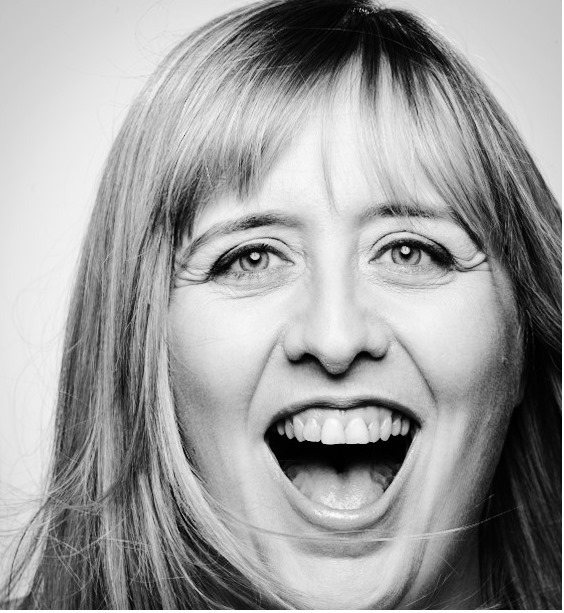 She is also a comedian performing on the London Comedy Circuit and is a member of the London Liars League. You can learn more about her work and expansive resume via her site (here). I think Louisa did an amazing job capturing the energy and spirit of the novel. It truly was a treat for me to listen to her performance, and I think you will see why in the interview below. Enjoy! 1. I was thrilled when I heard you were doing the audiobook. When did you start doing narrations? How did you fall into this gig? 2. What has been your favorite book to work on? 3. Do you have any dream books or authors you would like to read? 4. What is the biggest challenge in taking on a book? 5. What made you decide to work on A JANE AUSTEN DAYDREAM? What was the process like? 6. One of the things I loved about listening to the audiobook version of the book is your interpretation of the characters. In many ways, it felt more like a performance as compared to a reading. How do you find the right voice for the right character? 7. Speaking more of characters, I really enjoyed your version of Jane, I really felt like she matured over the course of the work through your reading of her. Can you say some more about finding your inner Ms. Austen? 8. When I heard you were narrating the book and discovering you have a comedy background, I was really excited. And, honestly, you made me laugh out loud during your reading (and I’m the author!). When did you start doing comedy? 9. What was your favorite moment to perform in A JANE AUSTEN DAYDREAM? Which was the biggest challenge? 10. [SPOILER] Okay, I have to ask…. Thoughts on the American? 11. Finally, how can people find you on the internet or follow your other books and projects? Is there anything else in the pipeline that we should look out for? I hope you dug listening to the interview as much as I did and will take a listen to the audiobook. It is truly something special. And be sure to check out her website as well (here). 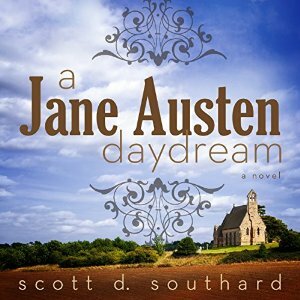 A JANE AUSTEN DAYDREAM is available on Audible, iTunes, and Amazon right now. And on each of the sites you can hear a different sample of the amazing performance by Louisa Gummer. Check it out and grab your copy today! You can find it on Audible.com here. It is free for members, or it can be purchased for $24.95. It is available on iTunes (here) for $21.95. And on Amazon (here) where it is free to members, or $21.83. This entry was posted in Books and tagged Amazon, Audible, Audiobook, Audiobook narrator, Bath, Comedy, Fiction, Historical Fiction, Historical Romance, iTunes, Jane Austen, Listening, Louisa Gummer, Madison Street, Publishing, reading, Regency, Writing by Scott D. Southard. Bookmark the permalink.